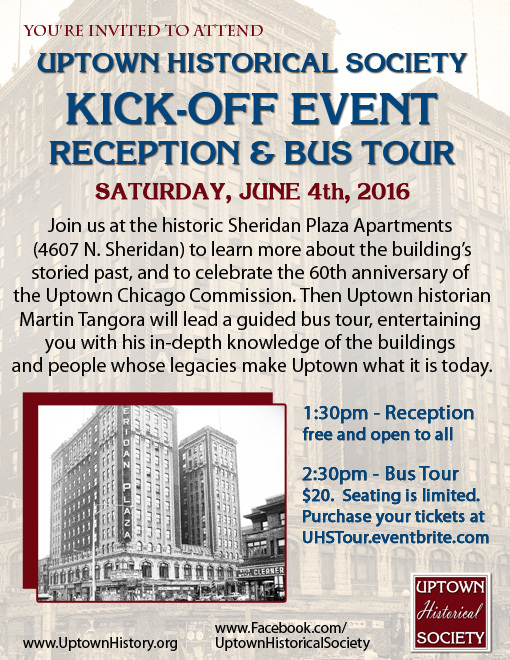 Uptown Historical Society will be launching on Saturday, June 4th, 2016 at the historic Sheridan Plaza Apartments at 4607 North Sheridan in the heart of Uptown. At 1:30 p.m., there will be a brief reception to formally launch UHS, and to learn more about the storied history of Sheridan Plaza. At 2:30 p.m., Uptown Historian Martin Tangora will lead an exclusive guided bus tour, and will provide guests with his deep knowledge and entertaining stories of Uptown landmarks. The reception is free. The bus tour is $20 per person to cover the cost of transportation. Purchase your tickets for the tour at UHStour.eventbrite.com. Uptown Historical Society is a group of volunteers who are interested in preserving and sharing the fascinating history of the Uptown neighborhood of Chicago. UHS is a subcommittee of the Uptown Chicago Commission, which is also celebrating its 60th anniversary. 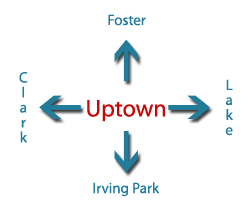 Founded in 1955, UCC's mission is to improve the quality of life for all Uptown residents. 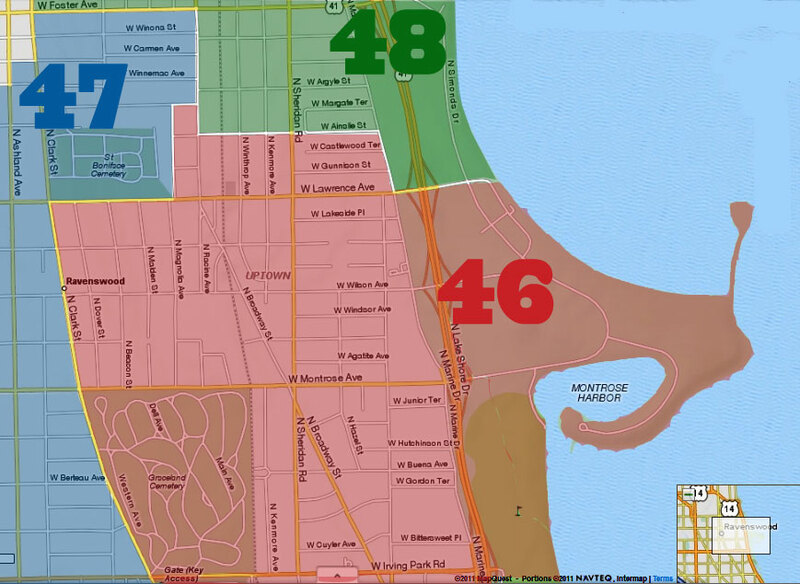 UCC's primary areas of focus are public safety, community development, and zoning and land use. Membership includes block clubs, property owners, developers, renters and businesses.